Happy New Year! Check out my first concert review of 2013! What happens when you bring together three of the strongest, most powerful voices of song, combined with a scintillating band whose prowess is equally as impressive? Sing the Truth! 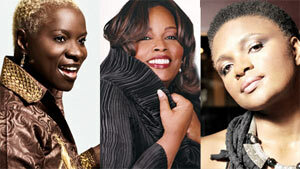 features the unbelievable vocal talents of Dianne Reeves, Angelique Kidjo and Lizz Wright in a musical performance that celebrates the strength and spirit of women in unique traditions. It was an aural combination of sound, spirituality and song. It is rare that one gets to witness such an abundance of talent on one stage. The night began with the three ladies bringing passion and energy to the stage with Ike Turner’s, “Bold Soul Sister”. Heavy and soulful harmonies radiated from the stage. It immediately ignited the crowd, sending them into a swoon, dripping with anticipation. Despite having such contrasting styles and dispositions, this group melded effortlessly, making for a highly entertaining performance. They sang together interchangeably, which made for dynamic and pleasing artistic expressions. At times they were theatrical, while at others they were deeply spiritual. Dianne Reeves was the vocal anchor of the group, displaying her incredible range, clarity and diversity. Her voice moves with precision; shifting styles and deliveries. While singing her impressive rendition of “Thirty-two Flavors”, her improvisation and scatting was engaging, giving the audience a healthy dose of jazz, funk and soul. Dianne Reeves is a “must-see” talent who embodies the tradition of jazz vocalism. Angelique Kidjo provided the spark and comedic relief of the group. 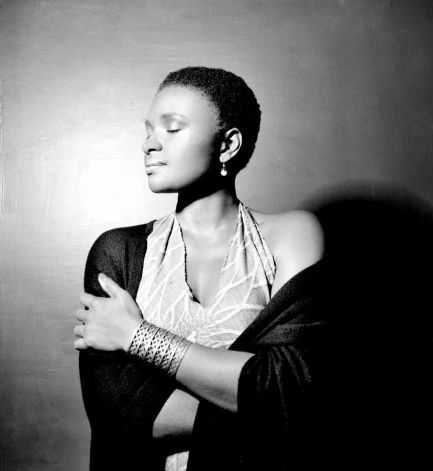 She says that her music is inspired by music legend Miriam Makeba. Unabashedly energetic, the native West African (she is from Benin) brought an ethnic flavor to the mix. Clearly, she remains deeply rooted in her culture and heritage as demonstrated by her tribal garb and spectacular chants. While she spoke openly to the audience about cultural differences, equality and acceptance, it fell short leaving audience members feeling slightly awkward and uncomfortable. Unafraid to wade into the audience, she walked about the seats, singing with audience members during her final solo. With a truly uplifting and memorable performance, I think most people would agree that the night truly belonged to Lizz Wright. Like an apparition moving fluidly on stage, Wright bathed the audience with her connective, soulful and soaring vocals. Her voice has an unbelievable clarity in the tradition of an Ella Fitzgerald. Her intonation is almost perfect; sweeping the room like a warm summer breeze. With an gripping rendition of Hoagy Carmichael and Frank Loesser’s “Heart and Soul”, she enraptured the audience, grabbing their full attention with its beauty. Lizz Wright continues to bend genres and exceed greater expectations. Her vocal abilities seemingly have no boundaries. None of this would have been as effective without the venerable talents of music director and drummer. 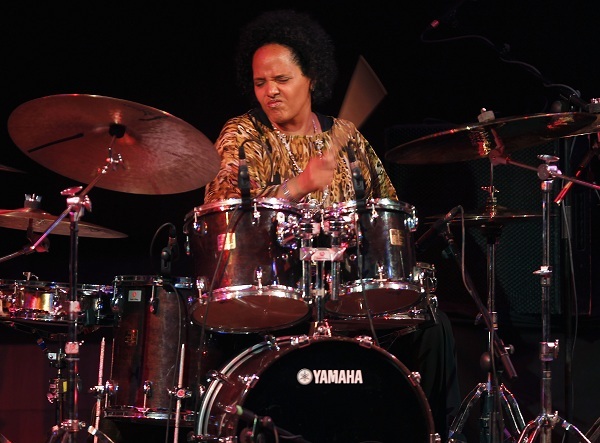 Terri Lyne Carrington. She was the center of the rhythm section, staying “in the pocket” while accentuating the softer lines of the performance. Carrington is a master percussionist whose talents allow her to lead without overpowering her contemporaries on stage. This formidable group of talents included bassist James Genus, pianist Geri Allen, auxiliary percussionist Munyungo Jackson, and guitarist Romero Lubambo. The spirit and message of womanhood will push onward thanks to these outstanding artists. With such an alluring performance, it is safe to assume that good things do come in threes. This entry was posted in Uncategorized and tagged Angelique Kidjo, Dianne Reeves, drums, funk, Geri Allen, heavy, improvisation, James Genus, jazz, Lizz Wright, Miriam Makeba, Munyungo Jackson, Romero Lubambo, Sing, soul, spiritual, styles, terri lyne Carrington, truth, vocals, woman, womanhood. Bookmark the permalink.